• Horizontal embossed pattern and a unique water-repellent edge for enhanced shielding from fluids. 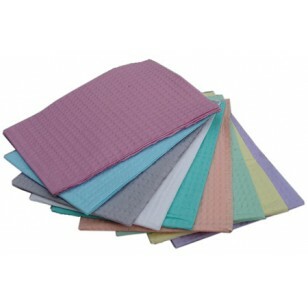 • Strong, tear-resistant plastic backing allows for increased clothing protection. • Many color options to coordinate with Medicom SafeBasics plastic cups.